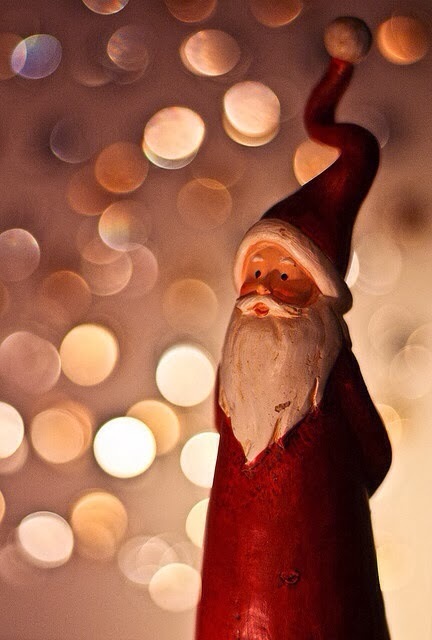 Look how cute wooden Santa is in this picture with all those perfectly sparkly circle lights. Don't you just want to cuddle him...no? Just me, cool! Traditions: by the Ashley Robbins dictionary it means things, stuff, or events that always happen. Webster will be calling soon I'm sure to help define some other words that need some clarification. What are yours? Maybe you don't have any...create some. Maybe you have one you dream of doing with your family...do it. 1. Advent calendar based on mostly experiences...not spending more money, honey. 2. Opening 1 gift on Christmas Eve...usually our stocking. 4. Buying an ornament for each kid for each year and then they will have a box full that I get to give them when they get married...if that's in their story. Side note: I buy that years ornament after Christmas for like $0.50 on clearance. I write on the box or the ornament the name of little and year. 5. Hot cocoa is like a flowing river at our house during December. Our cocoa motion machine (yes, that's a real thing and yes I have one and yes, i'm obsessed with it) is like my best friend. If I was on The Twitter, I would tweet pics of me and my cocoa machine with clever statements all the time...hence why I am actually NOT on The Tweeter Twitt world.